Cities: Capital: Libreville (pop. 673,995). Other cities — Port-Gentil (150,000), Franceville (31,183). Nationality: Noun and adjective — Gabonese (sing. and pl.). Annual population growth rate (2010 est. ): 2.025%. Religions: Christian (55%-75%), Muslim (5%-10%), animist less than 1%. Education: Years compulsory: to age 16. Attendance — 94%. Literacy — 86%. Health: Infant mortality rate: 55/1,000. Life expectancy — 60 years. Work force (600,000 est. ): Agriculture — 52%; industry and commerce — 16%; services and government — 33%. Branches: Executive: president (head of state); prime minister (head of government) and appointed Council of Ministers. Legislative — bicameral legislature (National Assembly and Senate). Judicial — Supreme Court and Constitutional Court. Political parties: Parti Democratique Gabonais (PDG — Democratic Party of Gabon) holds the largest number of seats in the National Assembly; l'Union Nationale (UN — National Union); Union du Peuple Gabonais (UPG — Union of the Gabonese People); Rassemblement du Peuple Gabonais (RPG — Rally of the Gabonese People). Central government budget (2010 est. ): Receipts — $2.7 billion; expenses — $2.4 billion; defense (2007) — 3.5% of government budget. Real GDP (2010 est. ): $14 billion. Annual real growth rate (2010 est. ): 5.4%. Per capita income (2010 est. ): $8,600. Avg. inflation rate (2010 est. ): 5%. Natural resources: Petroleum, timber, manganese, uranium, gold. Agriculture and forestry (4% of GDP): Products — manioc, rubber, sugar, and pineapples. Cultivated land — approximately 1%. Industry (64% of GDP): Types: petroleum related, wood processing, food and beverage processing. Services (32% of GDP): Types: government services, tourism. Trade (2007): $8.499 billion. Exports: 61% of GDP (f.o.b. ): petroleum, wood, manganese. Major markets — U.S. 16.6%, China 15.9%, EU 13.7%, France 4.3%. Imports — 30% of GDP (f.o.b. ): construction equipment, machinery, food, automobiles, manufactured goods. Major suppliers — EU 56.9%, France 32.2%, U.S. 7.9%, China 7.0%, Belgium 5.0%. Current account balance with U.S. (2009) — $1.060 billion. 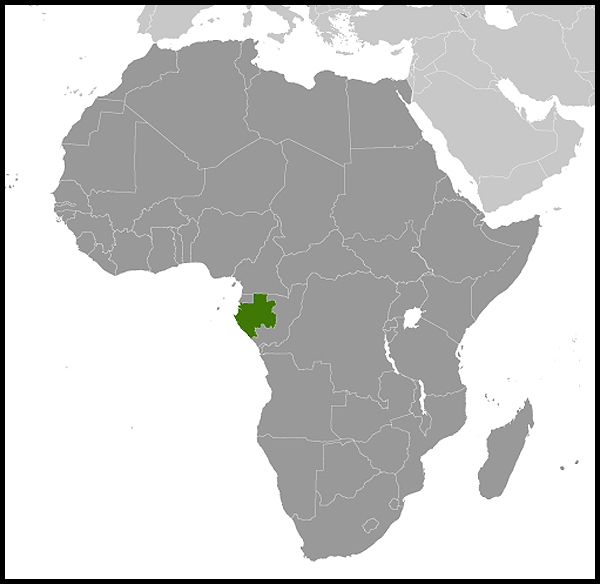 Gabon is one of the least densely inhabited countries in Africa, with a population that is estimated at 1,545,255. Almost all Gabonese are of Bantu origin. Gabon has at least 40 ethnic groups, with separate languages and cultures. The largest ethnicity is the Fang (about 30%). Other ethnic groups include the Nzebi, Myene, Bandjabi, Eshira, Bapounou, Bateke/Obamba, and Bakota. Ethnic group boundaries are less sharply drawn in Gabon than elsewhere in Africa. Most ethnicities are spread throughout Gabon, leading to constant contact and interaction among the groups. Intermarriage between the ethnicities is quite common, helping reduce ethnic tensions. 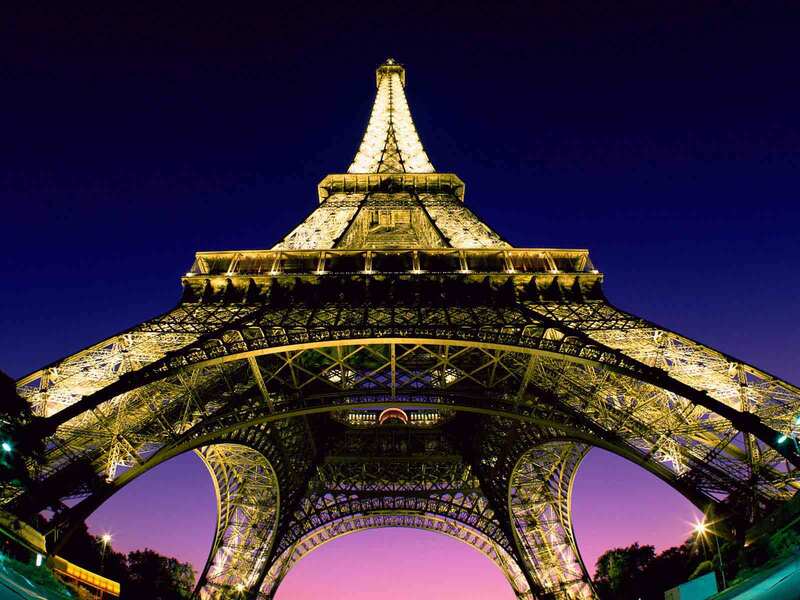 French, the official language, is a unifying force. The Democratic Party of Gabon's historical dominance also has served to unite various ethnicities and local interests into a larger whole. More than 10,000 native French live in Gabon, including an estimated 2,000 dual nationals. France dominates foreign cultural and commercial influences. Over the last 7 centuries, Bantu ethnic groups arrived in the area from several directions to escape enemies or find new land. In the process they displaced other groups in the region, among them the pygmies who now inhabit the jungle in the country's far east. Gabon's first European visitors were Portuguese traders who arrived in the 15th century. They named the area after the Portuguese word "gabao," a coat with sleeves and hood resembling the shape of the Komo River estuary. Dutch, British, and French traders followed the Portuguese in the 16th century, and the coast became a center of the slave trade. In a bid to beat the other European powers, France began to formalize its status in Gabon by signing treaties with Gabonese coastal chiefs in 1839 and 1841. 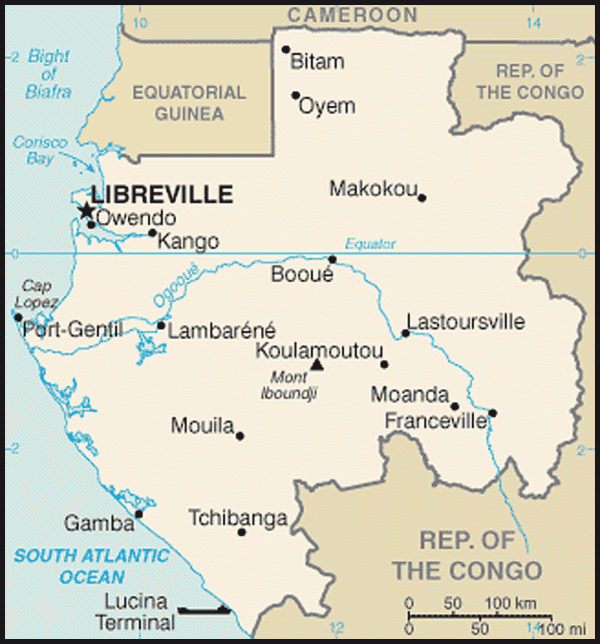 Libreville, the capital, grew out of a series of small settlements along the Komo River estuary. The first settlement was started in 1842 by American missionaries from New England who established a Presbyterian mission on a hilltop overlooking the estuary. The mission, called Baraka, is now located in the section of Libreville called Glass. In 1849, the population along the Komo River estuary swelled when the French captured an illegal slave ship and released the passengers at the mouth of the Komo River. The slaves named their settlement Libreville — "free town." The interior remained relatively unexplored by outsiders until the mid-19th century. An American, Paul du Chaillu, was among the first foreigners to explore the interior of the region in the 1850s. Between 1862 and 1887, French explorers penetrated the dense jungles of what would become Gabon. The most famous, Savorgnan de Brazza, used local Bantu bearers and guides in his search for the headwaters of the Congo River. Capitalizing on treaties signed with indigenous chiefs earlier in the century, France occupied Gabon in 1885 during the European scramble for Africa. However, it did not begin to administer it until 1903. In 1910, Gabon became one of the four territories of French Equatorial Africa, a federation that survived until 1959. The territories became independent in 1960 — forming the independent nations of the Central African Republic, Chad, Congo (Brazzaville), and Gabon. At the time of Gabon's independence in 1960, two principal political parties existed: the Bloc Democratique Gabonais (BDG), led by Leon M'Ba, and the Union Democratique et Sociale Gabonaise (UDSG), led by J.H. Aubame. In the first post-independence election, held under a parliamentary system, neither party was able to win a majority. The BDG obtained support from three of the four independent legislative deputies, and M'Ba was named Prime Minister. Soon after this the two parties agreed that Gabon did not have enough people to support a two-party system, and the two party leaders agreed on a single list of candidates, starting with the 1961 presidential election. In that election, held under the new presidential system, M'Ba became President and Aubame became Foreign Minister. This one-party system appeared to work until February 1963. Then, the larger BDG element forced the UDSG members to choose between a merger of the parties or resignation. The UDSG cabinet ministers resigned, and M'Ba called an election for February 1964 and at the same time reduced the number of National Assembly deputies from 67 to 47. The UDSG failed to muster a list of candidates able to meet the requirements of the electoral decrees. When the BDG appeared likely to win the election by default, the Gabonese military toppled M'Ba in a bloodless coup on February 18, 1964. French troops re-established his government the next day. Elections were held in April 1964 with many opposition participants. BDG-supported candidates won 31 seats and the opposition 16. Late in 1966, the constitution was revised to provide for automatic succession of the vice president should the president die in office. In March 1967, Leon M'Ba and Omar Bongo (then Albert Bongo) were elected President and Vice President. M'Ba died later that year, and Omar Bongo became President. Opposition to the PDG continued after the April 1990 conference, however, and in September 1990, two coup d'etat attempts were uncovered and aborted. Despite anti-government demonstrations after the untimely death of an opposition leader, the first multiparty National Assembly elections in almost 30 years took place in September-October 1990, with the PDG garnering a large majority. Facing a divided opposition, President Omar Bongo coasted to easy re-election in December 1998, with large majorities of the vote. While Bongo's major opponents rejected the outcome as fraudulent, some international observers characterized the results as representative despite many perceived irregularities, and there were none of the civil disturbances that followed the 1993 election. Peaceful though flawed legislative elections held in 2001-2002, which were boycotted by a number of smaller opposition parties and were widely criticized for their administrative weaknesses, produced a National Assembly almost completely dominated by the PDG and allied independents. In November 2005, President Omar Bongo was elected for his sixth term. He won re-election easily, but opponents claim that the balloting process was marred by irregularities. There were some instances of violence following the announcement of Omar Bongo's win, but Gabon generally remained peaceful. On June 8, 2009, President Omar Bongo died of cardiac arrest at a Spanish hospital in Barcelona, ushering in a new era in Gabonese politics. In accordance with the amended constitution, Rose Francine Rogombe, the President of the Senate, became Interim President on June 10, 2009. The first contested elections in Gabon's history that did not include Omar Bongo as a candidate were held on August 30, 2009 with 18 candidates for president. The lead-up to the elections saw some isolated protests, but no significant disturbances. Omar Bongo's son, ruling party leader Ali Bongo Ondimba, was formally declared the winner after a 3-week review by the Constitutional Court; his inauguration took place on October 16, 2009. A partial legislative by-election was held in June 2010. A newly created coalition of parties, the Union Nationale (UN), participated for the first time. The UN was composed largely of PDG defectors who left the party after Omar Bongo's death. Of the five hotly contested seats, the PDG won three and the UN won two; both sides claimed victory. In January 2011, Andre Mba Obame, the Secretary General of the UN coalition, swore himself in as President, established a parallel government, and occupied the United Nations Development Program headquarters in Libreville for a month. Mba Obame believed himself the rightful winner of the 2009 presidential election despite coming in third according to the official count. In response to Mba Obame's self-proclamation, the government dissolved the UN for violating the country's unity (per Article 94 of the constitution). Further, on May 5, 2011, Gabon's National Assembly voted to dissolve Mba Obame's immunity as a member of Parliament. Mba Obame has since departed the country for medical treatment. On June 17, 2011, the Gabonese Parliament adopted a law on the protection of personal data to allow for the introduction of biometrics in Gabon's future elections. Legislative elections were held on December 17, 2011. The ruling PDG won by a landslide, gaining 114 of the 120 seats in the National Assembly. Elections were deemed free and fair by external observers. Voter turnout remained historically low. In the lead-up to the legislative elections, opposition groups threatened a boycott based on the failure to implement a biometrics system. In 1990 the government made major changes to Gabon's political system. A transitional constitution was drafted in May 1990 as an outgrowth of the national political conference in March-April and later revised by a constitutional committee. Among its provisions were a Western-style bill of rights, creation of a National Council of Democracy to oversee the guarantee of those rights, a governmental advisory board on economic and social issues, and an independent judiciary. After approval by the National Assembly, the PDG Central Committee, and the President, the Assembly unanimously adopted the constitution in March 1991. Multiparty legislative elections were held in 1990-91, despite the fact that opposition parties had not been declared formally legal. In spite of this, the elections produced the first representative, multiparty National Assembly. In January 1991, the Assembly passed by unanimous vote a law governing the legalization of opposition parties. After President Omar Bongo was re-elected in a disputed presidential election in 1993 with 51% of votes cast, social and political disturbances led to the 1994 Paris Conference and Accords, which provided a framework for the next elections. Local and legislative elections were delayed until 1996-97. In 1997, constitutional amendments put forward years earlier were adopted to create the Senate and the position of vice president, as well as to extend the president's term to 7 years. In October 2009, newly-elected President Ali Bongo Ondimba began efforts to streamline the government. He eliminated 17 minister-level positions. He also abolished the vice president position and reorganized the portfolios of numerous ministries, bureaus, and directorates with the intention of reducing corruption and government bloat. In November 2009, President Bongo Ondimba announced a new vision for the modernization of Gabon, called "Gabon Emergent." This program contains three pillars: Green Gabon, Service Gabon, and Industrial Gabon. The goals of Gabon Emergent are to diversify the economy so that Gabon becomes less reliant on petroleum, to eliminate corruption, and to modernize the workforce. Under this program, exports of raw timber have been banned, a government-wide census was held, the work day has been changed to eliminate a long midday break, and a national oil company was created. Gabon maintains an embassy in the United States at 1630 Connecticut Ave. NW, Suite 700, Washington, DC, 20009 (tel. 202-797-1000). Gabon's economy is dominated by oil. Oil revenues comprise roughly 46% of the government's budget, 43% of gross domestic product (GDP), and 81% of exports. Oil production has been declining rapidly from its high point of 370,000 barrels per day in 1997. Some estimates suggest that Gabonese oil will be expended by 2025. In spite of the decreasing oil revenues, planning has only recently begun for an after-oil scenario. Gabon earned a poor reputation with the Paris Club and the International Monetary Fund (IMF) over the management of its debt and revenues. At World Bank and IMF insistence, the government embarked in the 1990s on a program of privatization of its state-owned companies and administrative reform, including reducing public sector employment and salary growth, but progress was slow. Successive IMF missions criticized the government for overspending on off-budget items (in good years and bad), over-borrowing from the Central Bank, and slipping on the schedule for privatization and administrative reform. However, in September 2005, Gabon successfully concluded a 15-month Stand-By Arrangement with the IMF. Another 3-year Stand-By Arrangement with the IMF was approved in May 2007. Because of the financial crisis and social developments surrounding the death of President Omar Bongo and the elections, Gabon was unable to meet its economic goals under the Stand-By Arrangement in 2009. Consultations with the IMF are ongoing. The Bongo Ondimba administration has voiced a commitment to work toward an economic transformation of the country but faces significant challenges to realize this goal. Gabon's oil revenues have given it a strong per capita GDP of $8,600, extremely high for the region. On the other hand, a skewed income distribution and poor social indicators misrepresent the situation if only GDP is taken into account. The richest 20% of the population receive over 90% of the income while about a third of all Gabonese live in poverty. Many foreign and local observers have consistently lamented the lack of diversity in the Gabonese economy. Various factors have so far stymied additional industries — a small market of about 1 million people, dependence on French imports, inability to capitalize on regional markets, lack of entrepreneurial zeal among the Gabonese, and the fairly regular stream of oil "rent". Further investment in agricultural or tourism sectors is complicated by poor infrastructure. The small processing and service sectors that do exist are largely dominated by a few prominent local investors. Gabon has a small, professional military of about 8,000 personnel, divided into army, navy, air force, gendarmerie, and national police. Gabonese forces are oriented to the defense of the country and have not been trained for an offensive role. A well-trained, well-equipped 1,500-member Presidential Guard provides security for the president. French troops also remain stationed in the country. Since independence, Gabon has followed a nonaligned policy, advocating dialogue in international affairs and recognizing each side of divided countries. In inter-African affairs, Gabon espouses development by evolution rather than revolution and favors regulated free enterprise as the system most likely to promote rapid economic growth. Gabon played an important leadership role in the stability of Central Africa through involvement in mediation efforts in Chad, the Central African Republic, Angola, the Republic of the Congo, the Democratic Republic of the Congo (D.R.C. ), and Burundi. In December 1999, through the mediation efforts of President Bongo, a peace accord was signed in the Republic of the Congo (Brazzaville) between the government and most leaders of an armed rebellion. President Bongo was also involved in the continuing D.R.C. peace process, and played a role in mediating the crisis in Cote d'Ivoire. Gabonese armed forces were also an integral part of the Central African Economic and Monetary Community (CEMAC) mission to the Central African Republic. Gabon is a member of the United Nations (UN) and some of its specialized and related agencies, as well as of the World Bank; the IMF; the African Union (AU); the Central African Customs Union/Central African Economic and Monetary Community (UDEAC/CEMAC); EU/ACP association under the Cotonou Agreement; the Communaute Financiere Africaine (CFA); the Organization of Islamic Cooperation (OIC); the Nonaligned Movement; and the Economic Community of Central African States (ECCAS/CEEAC), among others. In 1995, Gabon withdrew from the Organization of Petroleum Exporting Countries (OPEC). Gabon was elected to a non-permanent seat on the UN Security Council for January 2010 through December 2011 and held the rotating presidency in March 2010. Relations between the United States and Gabon are excellent. In 1987, President Bongo made an official visit to Washington, DC. In September 2002, Secretary of State Colin Powell made a brief but historic visit to Gabon to highlight environmental protection and conservation in the Central Africa region. This was followed by a visit to the White House by President Bongo in May 2004. On March 8, 2010 President Bongo Ondimba met with Secretary of State Hillary Clinton in Washington, DC. On June 9, 2011 President Bongo Ondimba was received by President Barack Obama. President Obama urged President Bongo Ondimba to take bold steps to root out corruption and to reform the judiciary and other key institutions to ensure the protection of human rights, and he welcomed the reforms that Gabon has taken under President Bongo Ondimba to bring more transparency and accountability to government. The United States imports a considerable percentage of Gabonese crude oil and manganese and exports heavy construction equipment, aircraft, and machinery to Gabon. Through a modest International Military Education and Training program, the United States provides military training to members of the Gabonese armed forces each year. In May 2009, the USS Nashville conducted a mission to help train Gabonese naval officers in maritime security. Other bilateral assistance includes the funding of small grants for qualified democracy and human rights, self-help, and cultural preservation projects. U.S. private capital has been attracted to Gabon since before its independence. The U.S. Embassy (http://libreville.usembassy.gov/) is located on the Blvd. de la Mer, B.P. 4000, Libreville, Gabon (tel: 241-762-003/004; fax: 241-745-507).